“Do not be afraid, Christ is coming soon. Christ is with us even now. Trust is this: the Spirit gives us a child. Christ is born anew in our hearts. 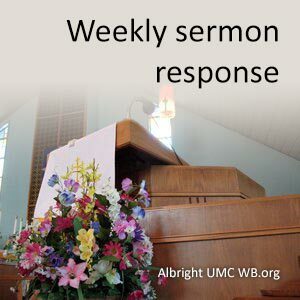 Response to the written Word from Matthew 22:34-46, and the spoken word from Barbara Shudak C.L.S. Response to the written Word from Philippians 4:1-9, and the spoken word from Eugene D. Sperazza C.L.M. Response to the written Word from Matthew 21:23-32, and the spoken word from Eugene D. Sperazza C.L.M.